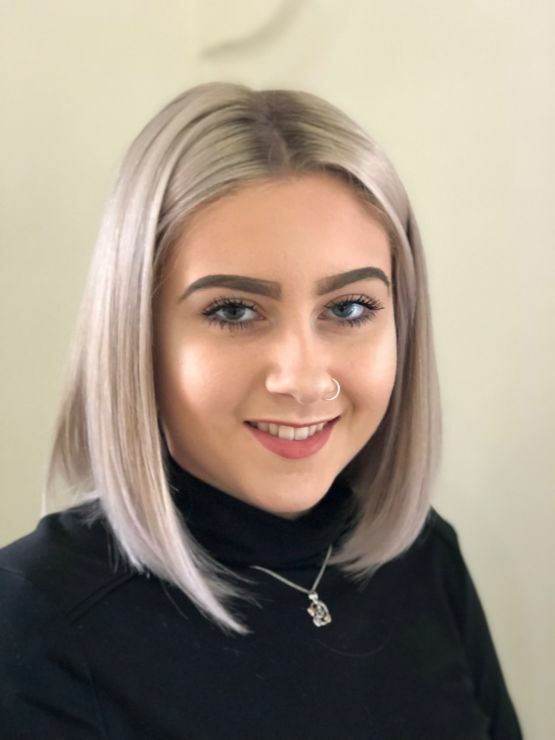 Hi, my name is Anna I am working towards gaining my NVQ Level three in advanced hairdressing and barbering qualification here at th1. I began hairdressing when I was 15 years of age by working weekends in a local salon close to my home area. This experience started my love for the hair industry and encouraged me to attend Coleg Menai Bangor to achieve my qualification. In 2018 I was nominated for junior stylist of the year in the welsh hair and beauty awards. This was a great honour and I am so grateful to Coleg Menai for my nomination. Working in Th1 is giving me an amazing opportunity to embrace my skills and grow my knowledge with all aspects of Colouring. I enjoy taking part in all our regular training held at th1 with Paul Mitchell and Wella colour educators.